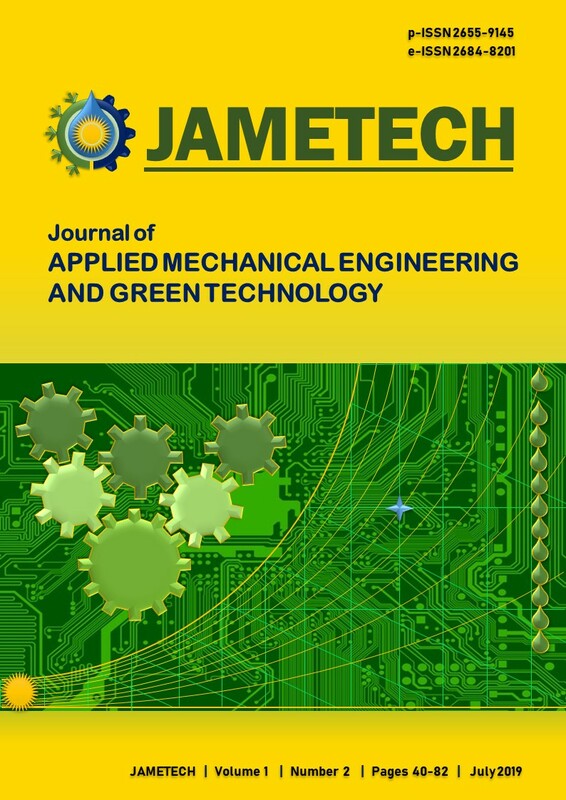 Journal of Applied Mechanical Engineering and Green Technology is a blind doubled reviewed journal which aims to bring its readers the very best analysis and discussion in the developing field of Applied Mechanical Engineering and Green Technology including sustainable and renewable energy technologies. Journal of Applied Sciences in Travel and Hospitality disseminates scientific information of applied sciences in tourism business. Published by Politeknik Negeri Bali, this media is intended to develop tourism business in its significance for all parties involved (tourism industry including the tourist(s), government, and society). It is published electronically (online) in March, June, September, and December since 2018. 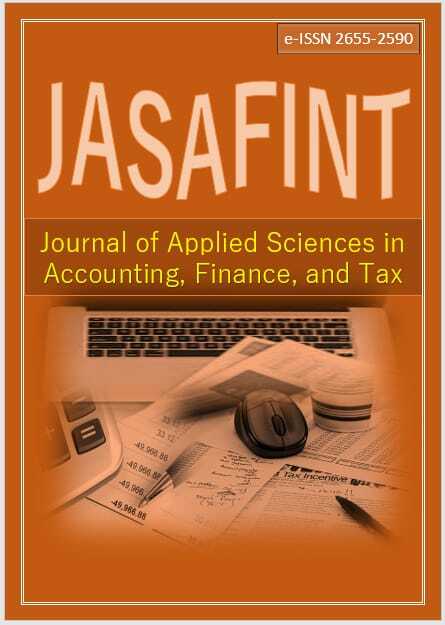 Academicians, researchers, students (of university, institute, academy, and polytechnic), and business practitioners are invited to send their article to this journal. The article can be research report, literature review, seminar review, and book review, relevant to the mission of this journal. 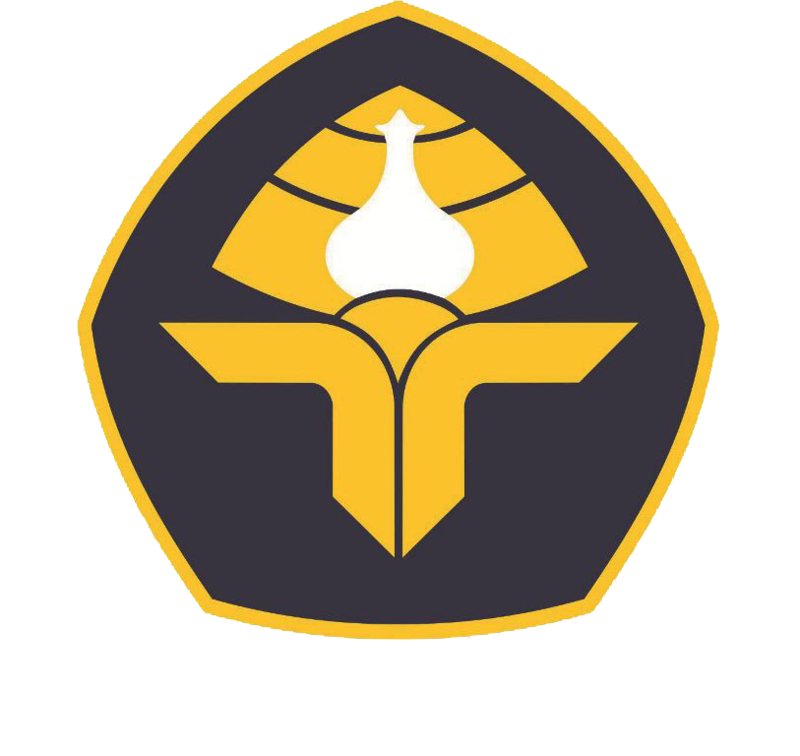 This site consists of all articles presented on conferences that are held by Politeknik Negeri Bali as the publisher. 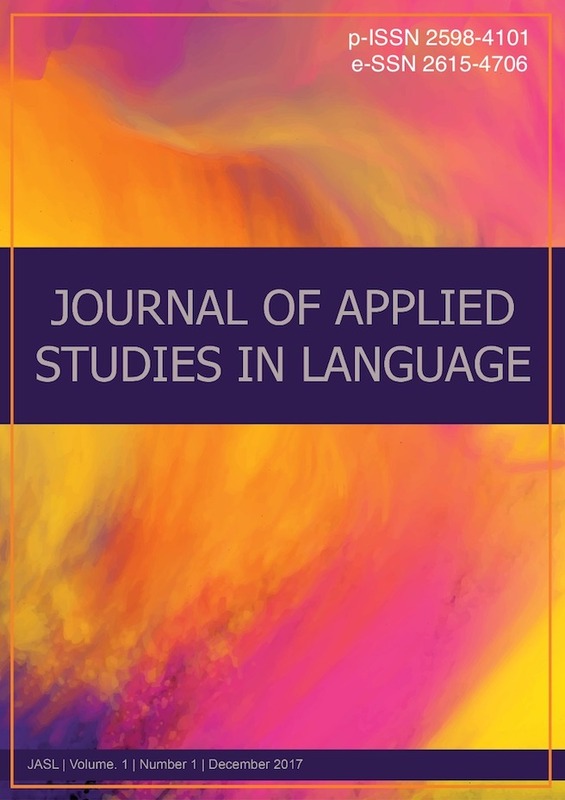 Journal of Applied Studies in Language is a journal of research in languages and language teaching. This journal is published by Scientific Publication Unit, Centre for Research and Community Services (Unit Penerbitan Ilmiah, Pusat Penelitian dan Pengabdian kepada Masyarakat -P3M) Politeknik Negeri Bali. It is published twice a year in June and December, since December 2017. JASL calls for paper on studies of Linguistics and Language Teaching. Linguistics, including, but not limited to, Phonology, Morphology, Syntax, Semantics, Literature, Pragmatics, Discourse Analysis, Language Acquisition, Sociolinguistics and Psycholinguistics and Language Teaching, such as First Language and Second Language Teaching, and Computer Assisted Language Learning (CALL). 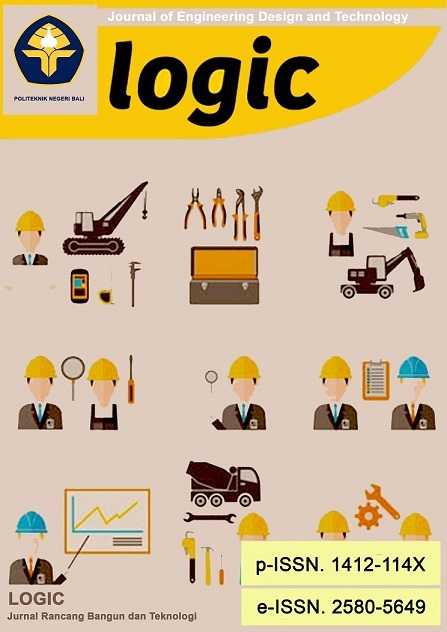 LOGIC Jurnal Rancang Bangun dan Teknologi (Journal of Engineering Design and Technology) is a journal covering articles in the field of civil and mechanical engineering, design, and technology published 3 times a year in March, July, and November. Language used in this journal is Indonesian or English. 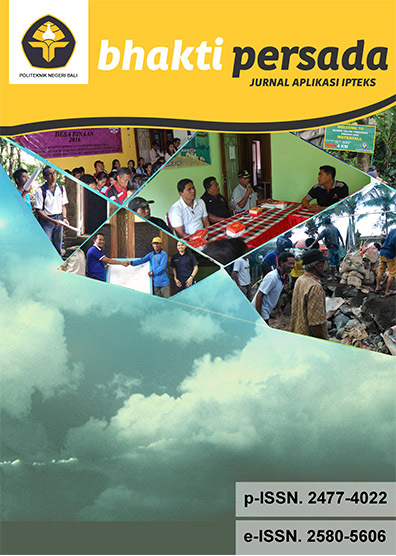 BHAKTI PERSADA Jurnal Aplikasi IPTEKS (Journal of Applied Sciences and Technology) is a journal published by Center for Research and Community Service (P3M) Politeknik Negeri Bali. This journal is published twice a year in May and November which is a medium to publish the results of community service in the form of science and technology applications in the community. The editors receive the manuscripts of the results of community service performed by lecturers, researchers, and social activists. 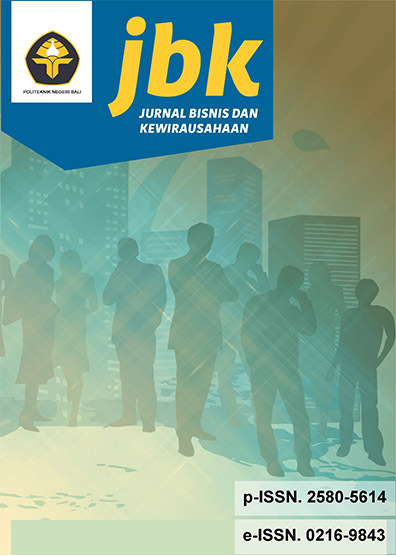 JURNAL BISNIS DAN KEWIRAUSAHAAN (Journal of Business and Entrepreneurship) issued by Politeknik Negeri Bali and published three times a year in March, July, and November covers issues on economics, business, management, business administration, entrepreneurship, and other related scientific problems. This journal was first published in 2001 under the name Jurnal Sinergi: Bisnis dan Kewirausahaan. In line with the improvement in the management of the journal, since the 2005 this journal was published with a new ISSN. Language used in this p- and e-journal is Indonesian or English. 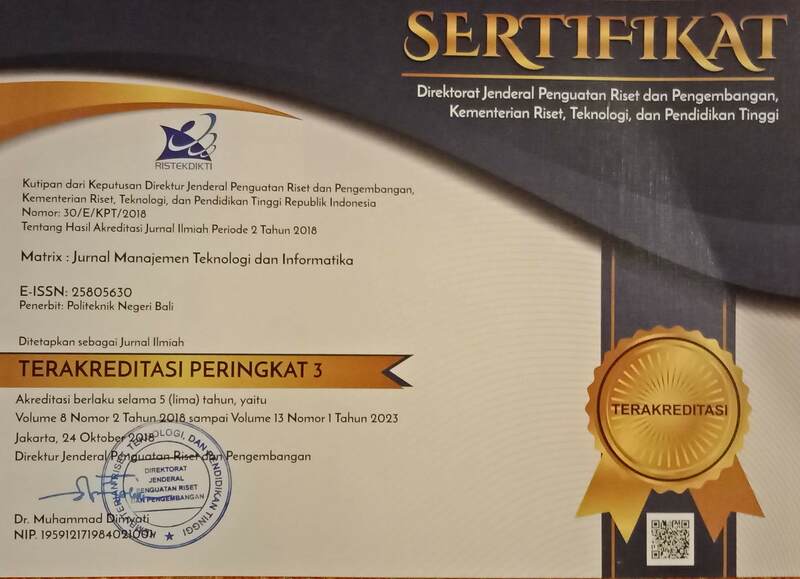 JURNAL BISNIS DAN KEWIRAUSAHAAN has got Grade IV Accredited Scientific Journal based on the Decree of the Minister of Research, Technology and Higher Education, Number 21/E/KPT/2018, 9 July 2018. 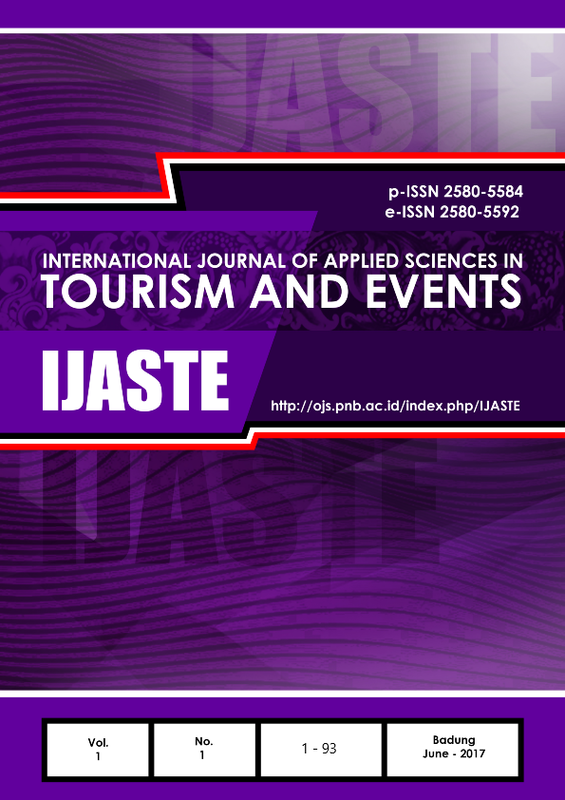 This accreditation decree is valid for 5 (five) years, starting from Volume 12, Number 1, 2016 to Volume 16, Number 3, 2020.
International Journal of Applied Sciences in Tourism and Events (IJASTE) is an international journal publishing a variety of issues related to tourism including applied sciences in tourism and events, arts and entertainment, socio-culture, language and communication, economy, business, entrepreneurship, technology and infrastructure, and other related issues. It is published by Scientific Publication Unit, Center of Research and Community Service of Politeknik Negeri Bali, biannually (June and December since 2017) and publishes articles (empirical report, literature review, and case report) written in English. 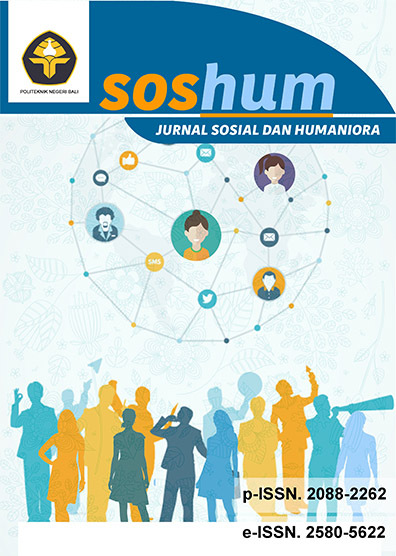 SOSHUM Jurnal Sosial dan Humaniora [Journal of Social Sciencies and Humanities] is an on-line journal aims to develop itself as a pioneer journal with a focus on emerging issues pertaining to social sciences and humanities. Starting from 2018 it publishes all papers in English. Areas relevant to the scopes of the journal include Social Sciences, Education, History, Tourism, Gender, Media and Communication studies, Humanities, Arts and Culture, Linguistics, Literature, Philosophy, and Religious Studies. It is published by Politeknik Negeri Bali three issues per year: March, July, and November. It calls for research as well as literary study papers on the areas of social sciences and humanities. 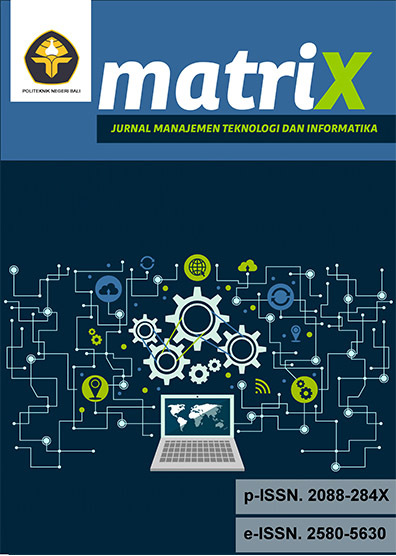 MATRIX : Jurnal Manajemen Teknologi dan Informatika (Journal of Technology Management and Informatics) is managed by Unit of Scientific Publication, Research and Community Service Center, Politeknik Negeri Bali. This journal is published in March, July, and November. MATRIX has got Grade III Accredited Scientific Journal based on the Decree of the Minister of Research, Technology and Higher Education, Number 30/E/KPT/2018, 24 October 2018. This accreditation decree is valid for 5 (five) years, starting from Volume 8, Number 2, 2018 to Volume 13, Number 1, 2023.